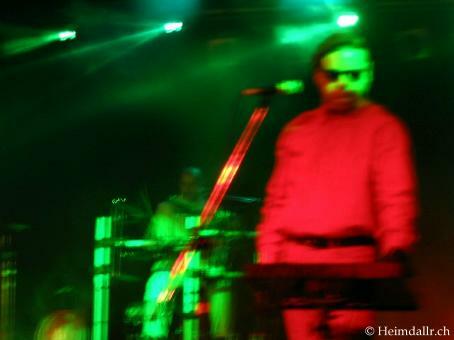 Who in the dark music scene has never heard about the WGT? Over the years it's become an institution that attracts music fans from all over the world. 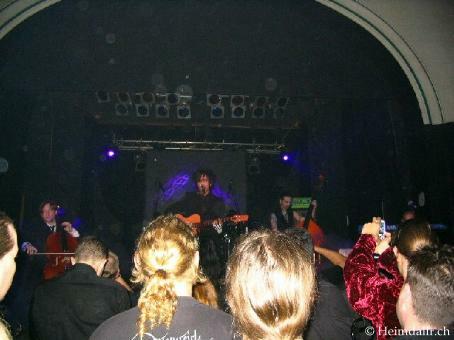 This year more than 160 bands played at 16 venues all over the city during four consecutive days to over 20,000 fans. 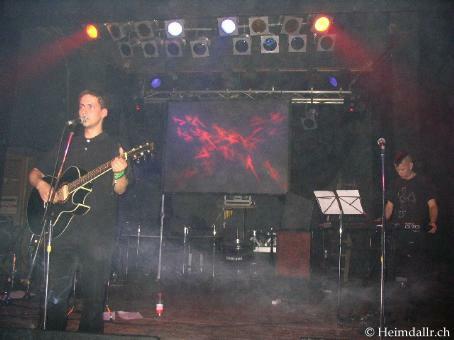 Although the majority of the bands fall within the gothic or electro genres, the festival is open to all styles of dark music and, as usual, there was a small neofolk and dark ambient festival within the festival. This year the bands were spread over three days and the quality of the headliners alone (Sol Invictus, Actus, Predominance and Ain Soph) made the event highly interesting to any fan of this particular scene. Things couldn't have started better on the Saturday; it poured down with rain all day. But, with Sol Invictus due to play later in evening, this was something almost inevitable. 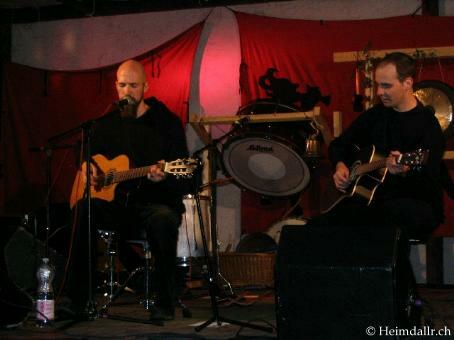 Forsaking all ideas to go and see And Also The Trees in the park, I made my way directly to the Anker, the small venue allocated to the neofolk scene. The time to greet a few friends and to check out the merchandise stall and the concerts began. 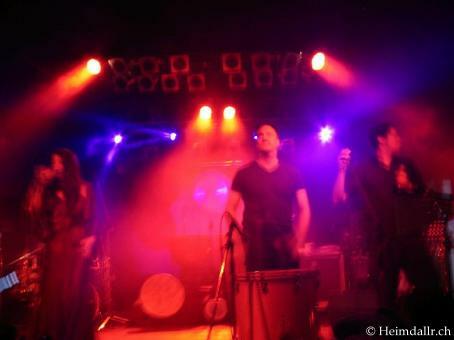 Whatever, I was inside and it was now time to squeeze my way up front for the Sonne Hagal concert. This was something I really did not want to miss, as it was the official presentation of 'Nidar', the band's new four-track ep, just released on Andreas Ritter's label. 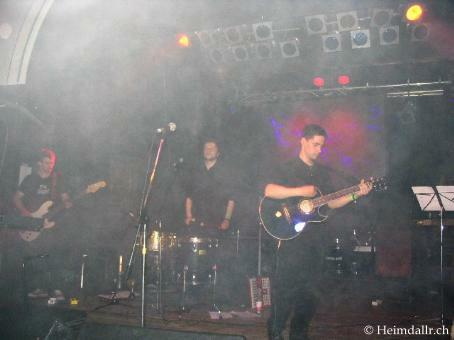 With the bassist and the keyboard player, completed by a discrete female vocalist on the occasion, hiding in the wings, the centre of the smoke shrouded stage was left to singer/guitarist Oliver and Andreas Ritter from Forseti on accordion and the occasional percussions. As expected, they played all the songs from 'Nidar' but also the two tracks from the 'Dygel' 7" and some older classics like 'Odin', 'The Runes are still alive' or the Ernte cover 'Sonnenwende'. 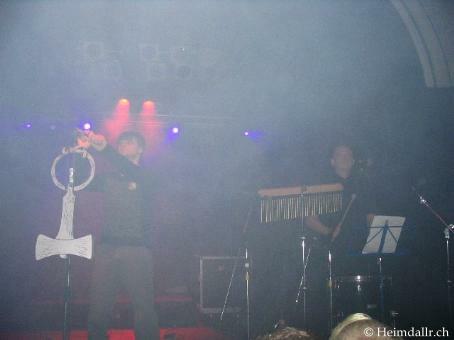 At one moment Andreas and Oliver switched roles to play the Forseti song 'Ewigkeit', assisted by Henryk from Darkwood on melodica. The audience-rousing moment of a well-mastered, elegant and distant performance; a stance well suited to their particular style of atmospheric folk. 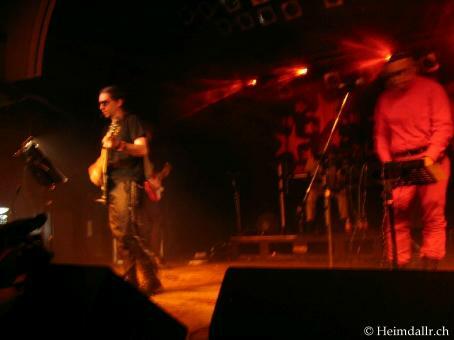 The most well known band on the bill was without doubt Sol Invictus and they could really be considered as co-headliners of the evening. 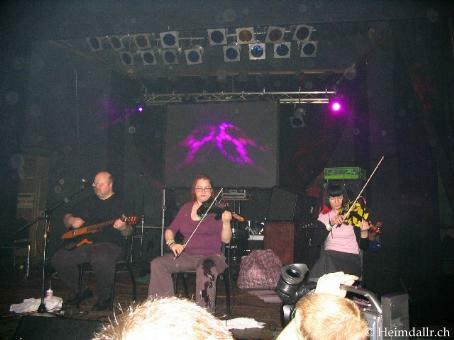 Tony (guitar, vocals), Renée (violin), Maria (violin) and Karl (bass) entered the stage with their instruments in one hand and a chair in the other. After a round of applause and a short sound check, Tony and his sitting band of merry troubadours could eventually get under way. 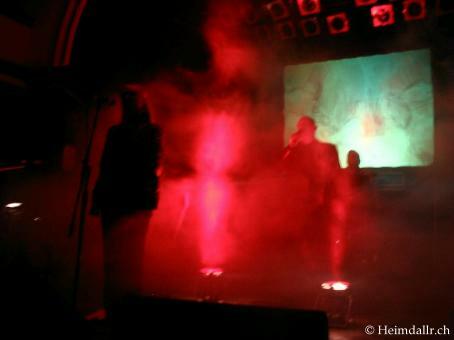 They played a set made up entirely of audience pleasers like 'Black Easter', 'Garden Green', 'La Croix', 'Hill of Crosses'... as well as a host of songs from the early albums. Without Eric Roger's embellishments, the sound was a more raw than what I had been accustomed to recently, but the songs were still just as good. Guts and passion replaced the Gallic sophistications, for a performance that was played with much more energy than expected from a seated band. Driven by Karl's effect laden bass, the songs had a sort of 70's folk-rock feeling to them that only added more Englishness to the performance. I know that a few fans were a bit disappointed by this more back-to-the-roots concert, but I really enjoyed it. 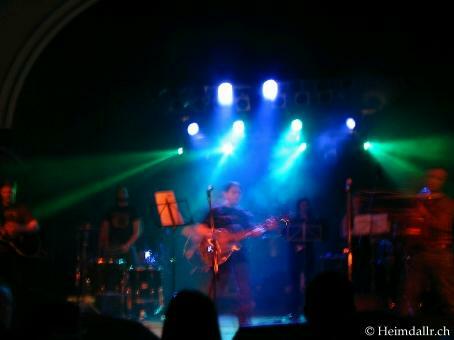 The final act was the legendary Hungarian formation ACTUS, who are back after a seven year hiatus with a new album, 'Mandala' that was released at the festival. 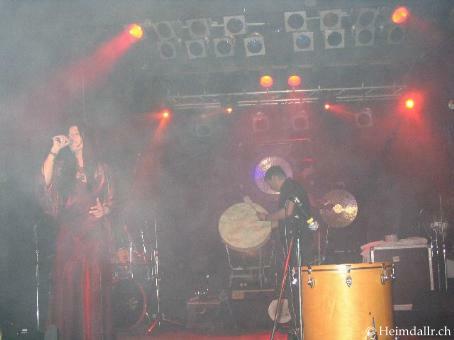 For this comeback performance a singer/keyboardist, a female vocalist, a computer-player/guitarist and an impressive-looking percussionist were present on a smoke-filled stage, lit by a special light show. On the Sunday, I was confronted by a usual festival dilemma; several bands I wanted to see were due to play at the same time in three different locations. It was difficult to choose between Predominance, Inade et al, Nebelung or Paul Roland but in the end I finally opted for the dark ambient night in a cinema. Although I arrived on time, there was already a long queue in front of the UT Connewitz; the 100-seater venue was full. 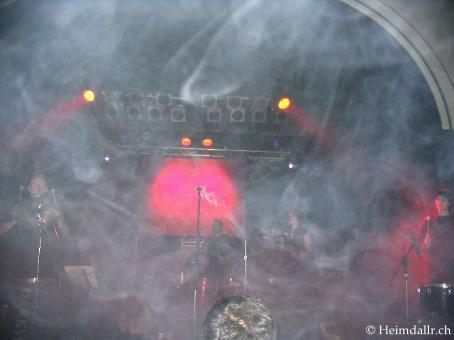 As I did not really want to stand around for hours, on the off-chance of gaining access I decided to push on and see Nebelung play on the open air stage in the pagan village instead. 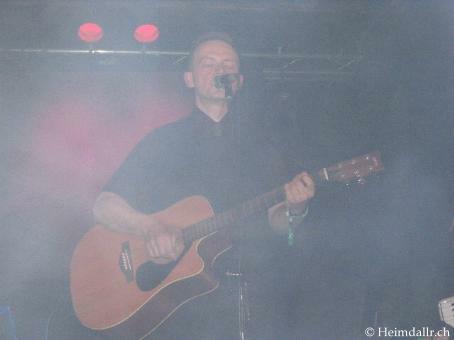 For this concert, Stefan O. 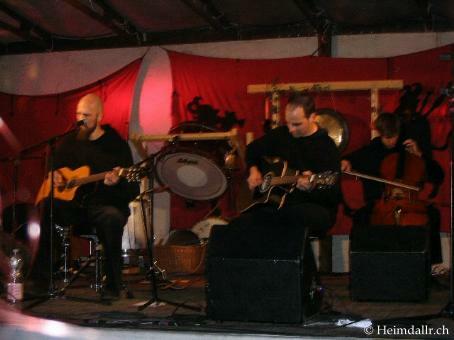 (vocals + guitar) and Thomas L. (guitar) were accompanied by a cello-player and a percussionist. 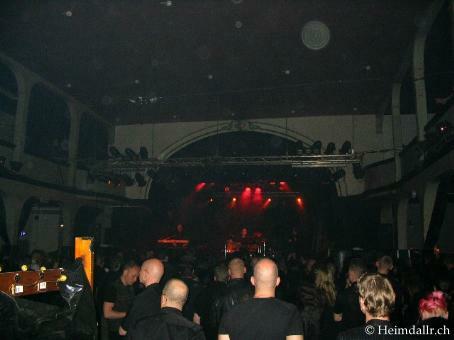 They played all the songs from Mistelsteinn plus a few more calm and melancholic ballads to an audience made up of a handful of neofolk fans, pagan families with their kids and a bunch of rowdy beered-up oiks. A pleasant concert played with all the mastery displayed on record and it was hard to believe that this was only the bands second live performance. I don't know if it's because a lot of revellers had left by Monday or because the sun was back, but there was much less a crowd at the Anker for the last day of the festival. 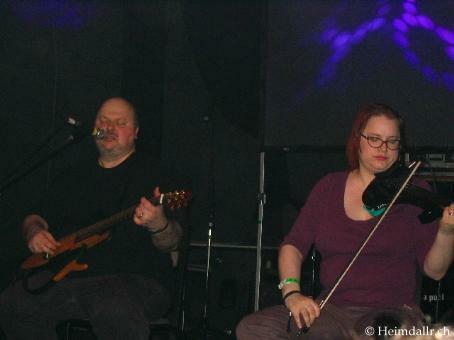 Hekate were the next to play. 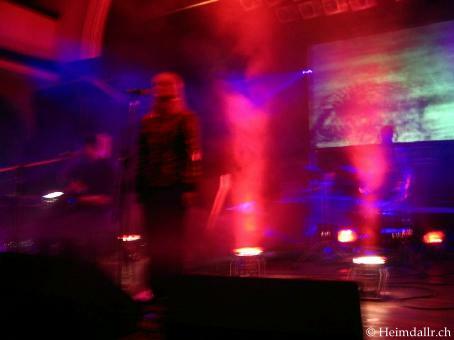 I am not always too keen on their studio material, but they are always a good band to see live; even with a modified line-up featuring a new graceful female singer and an extra drummer. 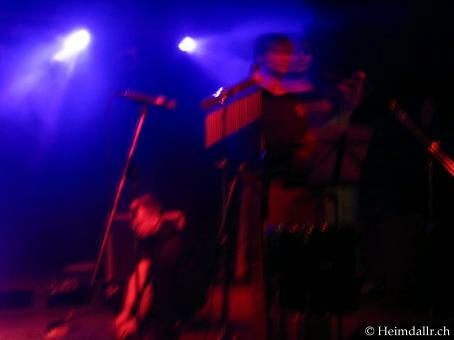 They played a very professional, dynamic and percussive set that owed a lot to singer Axel's energetic stage presence. Apart from 'Fatherland' I can't remember much of their setlist, but this concert was certainly to short to my liking, and I really don't understand why a band of this stature played so early on the bill. 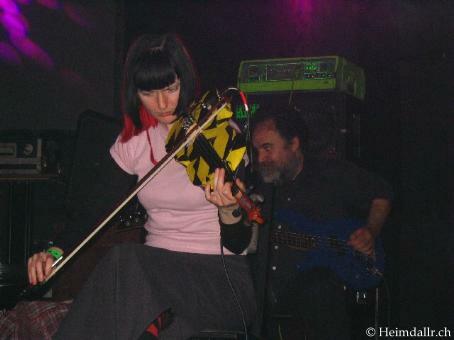 It was a bit strange to see Voxus Imp on stage. This ritual project involving two members of Darkwood has recently been revived with the reissue of old tape material. 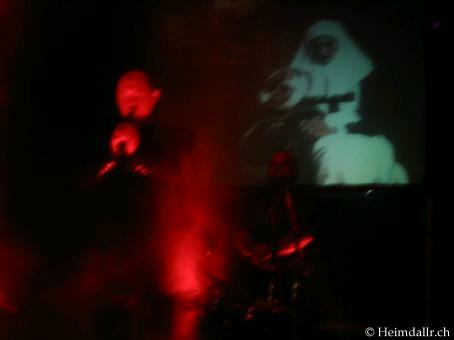 The two musicians used percussions, metal and wooden chimes, weird hypnotic electronic sounds and guttural vocals in old German to build up a mystic, almost magikal soundscape that I found quite compelling. It's a real pity that the project was denied at the last minute the permission to install their impressive fire show as it would have surely added to the atmosphere and drawn more members of the audience into the music. The last to play were the cult Italian act Ain Soph. Live, these master pranksters seem to take great pleasure in acting in an unexpected way and they made no exception in Leipzig. 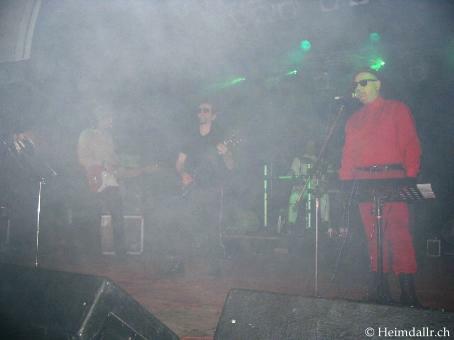 A martial looking sonic terrorist, dressed all in red, was flanked by a motley bunch of laid-back musicians; a tracksuit and ray-ban clad singer/guitarist, a lanky cigarette-smoking bassist and a white suited drummer.